The Stargazer Lilies only depart slightly from the shimmering landscape they constructed in their debut album, We Are the Dreamers. While their debut sports a sunnier sound—the spirals of glowy, noisy fuzz, lackadaisical reverb and slow-shake rhythms all warm and cozy—Door To The Sun takes a darker, noisier take on their shoegaze–psych rock hybrid. John Cep and Kim Field disbanded their notably more pop-driven project, Soundpool, and have focused a drenching of shoegazing tendencies here in this project. Door To The Sun brings to mind the likes of Slowdive, but with all melodic qualities cut out, leaving only the bare melancholic, soaring and fading effects, which lend all substance to the work. 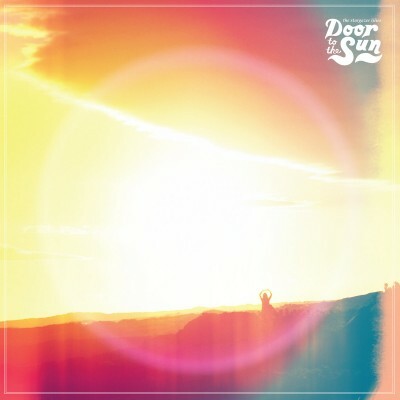 Door To The Sun is like the sunset to the blossoming dawn of the prior work, in that it sounds like how drifting off feels—especially in songs like “Summer’s Gone,” which slowly nods and glints for its entire 3:32 runtime, sounding like a slowed and muffled version of some banging Ringo Deathstarr song. And while some modern shoegaze bands put forth blasting energy and volume, The Stargazer Lilies deal more in the sedate qualities of the genre. Mixing would-be heavy riffs with barely-there whispery vocals and layering it all under a heavy cloth of neutralizing production, they produce a sound that is foggy, like a half-remembered dream. The way in which they experiment with noise is admirable, and I can’t help but feel that this was a very patiently and meticulously constructed album.